"I recently bought a Laptop for school, and I shift to Chrome and start to download YouTube videos chrome. However the tool I ever used refuses to work in Chrome. I tried other browsers and it works well. ONLY on Chrome. Any one knows a Chrome YouTube downloader, I prefer to use Google Chrome as it is my Favorite Browser right now." YouTube so far is one of the most popular video sharing site. Everyday millions of users watch latest news, music videos, funny clips and movies on YouTube. However, watching videos on YouTube is not always that fun and a lot of users will be no strangers to this situation: they finally get time to sit down for a movie only to be frustrated by the choppy and laggy video due to the sluggish internet connection. Clever as you are, you will certainly come up with the idea of downloading YouTube videos for latter enjoyment. Yes, quite a lot of extensions and apps are out there for this purpose. Unfortunately, things get a little different when you try to download YouTube chrome. To put it other way, if you are using Chrome browser, a good YouTube downloader chrome should be selected in the first place. Chrome YouTube Downloader Better Than YouTube Downloader Chrome Extension/Plugin? Sure there are many chrome plugins, add-ons or extensions which make it easier to save YouTube videos in Chrome. Many of them are available and free of charge for all users of Google Chrome. After installing those YouTube video downloader chrome extensions and follow a few dead easy steps, you can free yourself from being bound to the web browser or the like. However, few problems can make you abandon Chrome plugins and turn to a more powerful YouTube downloader for Chrome, like incapability to download 4k videos from YouTube , incompatibility with other web browsers like IE, Safari etc. MacX YouTube Downloader, a totally free Google Chrome YouTube downloader, is available for users of all the web browsers, including Google Chrome, Opera, Safari, Firefox and Internet Explorer and more! It comes with no spyware or adware whatsoever. 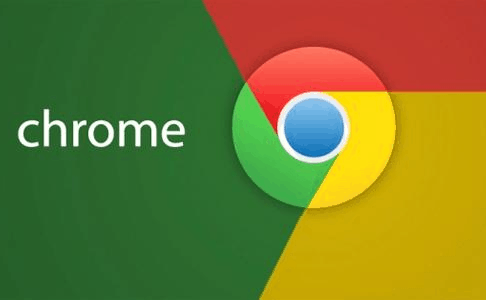 Chrome users are safely allowed to download YouTube videos in Chrome with high quality and fast speed, no matter they are music videos, funny clips, movies and whatever format they are in, including SD or HD videos in 720pm 1080P and 4K ultra HD. Users can freely save the YouTube videos in popular formats like FLV, MP4 and WebM. As its name suggests, FastestTube is quite a fast and effective YouTube downloader Chrome. It is a practical tool to download YouTube Chrome which allows Chrome users to download music clips or other videos from online multimedia platforms. Two common video formats MP4 and FLV with several resolutions are available and users are allowed to download YouTube videos on Chrome in 360p, 480p, 720p and up to 1080p. YouTube Video Downloader is a free utility for downloading videos from YouTube as well as from a huge list of other sites. And users are allowed to save the downloaded videos in a variety of formats, including MOV, MP4, 3GP, WMV, AVI, and even MP3. Generally speaking, this Google Chrome YouTube downloader is fast and produces high video quality. However, you may have to watch out the viruses and spyware. Step 1: Download this free YouTube downloader for Chrome and launch it. Open Chrome web browser and find out your desired YouTube video. Then copy and paste this URL to the main interface of Mac YouTube downloader. Click "analyze" to load the video information. Step 2: Choose video format, resolution and file size as you want. You are allowed to save the downloaded videos in formats like FLV, MP4, WebM. 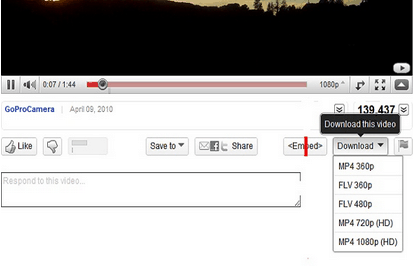 Step 4: Click "Download Now" to download YouTube videos in Chrome. For your reference: In general, most of your needs to download YouTube videos can be satisified following the above steps with this top YouTube downloader for Google chrome. However, sometimes you may feel it's insufficient in terms of video formats or the like. Don't worry, its higher version comes to help in such cases. MacX Video Converter Pro, a professional Chrome YouTube video downloader as well as a reliable video converter, comes with more comprehensive and advanced functions to download YouTube Chrome. With this YouTube video downloader for Chrome, users can not only freely download YouTube videos in Chrome, including SD, HD videos and even 4k UHD videos, but also convert the downloaded videos to any video formats including MP4, MOV, FLV, WMV, AVI, MKV etc and audio format or transfer them directly to various mobile devices like iPhone, iPad, Android etc.